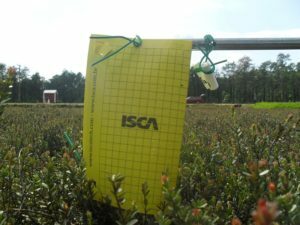 As we approach the end of bloom, growers should consider the need for any post-bloom applications. 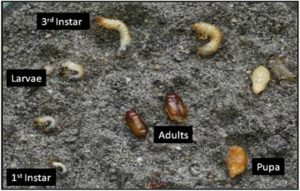 The main pest targets for these applications are mainly Sparganothis fruitworm and spotted fireworm. 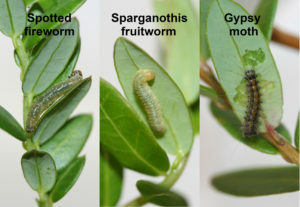 Sparganothis fruitworm (SPARG) – If your farm has high pheromone trap counts, you should consider managing this pest as soon as bees are removed. 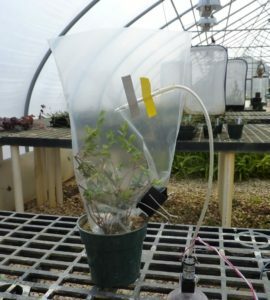 The timing for this 1st post-pollination spray is at 2 weeks after peak pheromone trap catches, which usually coincides with this time of the year. 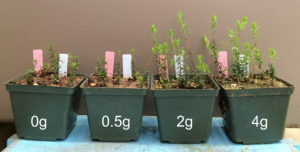 Control Options – Insect Growth Regulators (IGRs) (e.g. Intrepid and Confirm) are effective against SPARG. Alternatively, if you have used IGRs intensively (e.g. last year and this year as a pre-bloom or bloom spray), and would like to rotate with other chemistries, you may want to use Altacor, Delegate, or the broad-spectrum insecticides Diazinon, Imidan, or Lorsban. Broad-spectrum insecticides are also a choice if you have high blunt-nosed leafhopper populations (see below) because Intrepid, Delegate, and Altacor will have no effect against this insect. IF YOU ARE AN OCEAN SPRAY (OS) GROWER PLEASE CHECK RESTRICTIONS ON THE USE OF THESE INSECTICIDES. 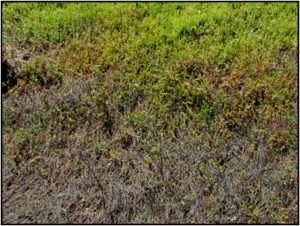 Lorsban in particular can’t be used by OS growers after bloom due to maximum residue limits (MRLs) for exporting cranberries. If you are an OS grower and want to use a post-bloom application to control SPARG then Delegate, Altacor, Diazinon (no aerial application allowed), or Imidan would be your options. Blunt-nosed leafhoppers– The best timing for controlling blunt-nosed leafhoppers is before bloom when they are immatures. At this time of the year, most of the population are adults and already laying eggs. 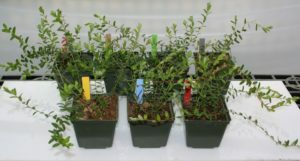 If you did not spray before bloom and have a high leafhopper population, you may consider a post-bloom application to prevent from an increase in population size. You may also consider spraying next year to control for those immatures that will emerge from the already laid eggs. 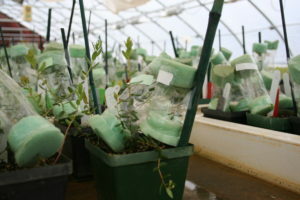 I list the best products against leafhoppers. As indicated above, if you are an OS grower please check insecticide use restrictions based MRLs.